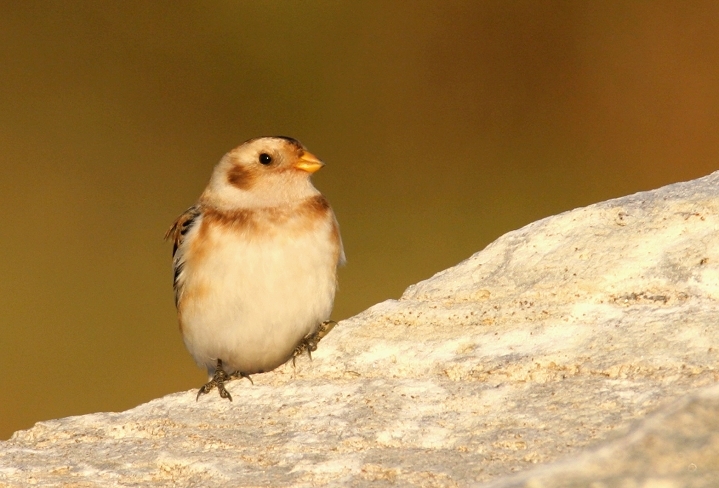 Above and below: An early Snow Bunting found by Joel Martin at Southwest Area Park (SWAP) in Baltimore Co., Maryland (10/26/2006). 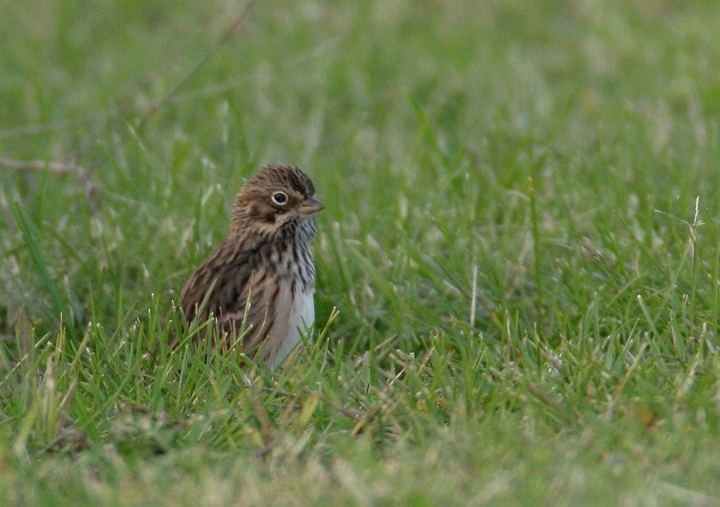 Below three: Also found by Joel was this attractive migrant Vesper Sparrow (SWAP, 10/26/2006). 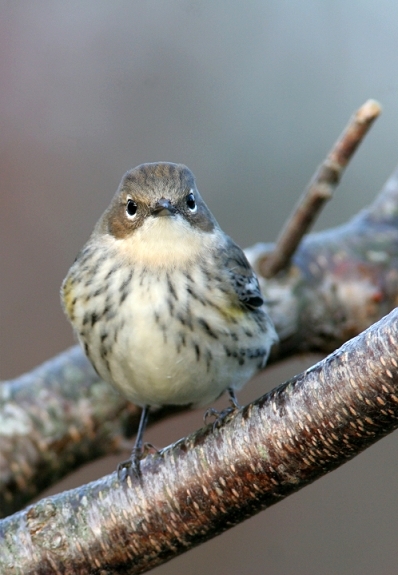 Nice finds, Joel--thanks! 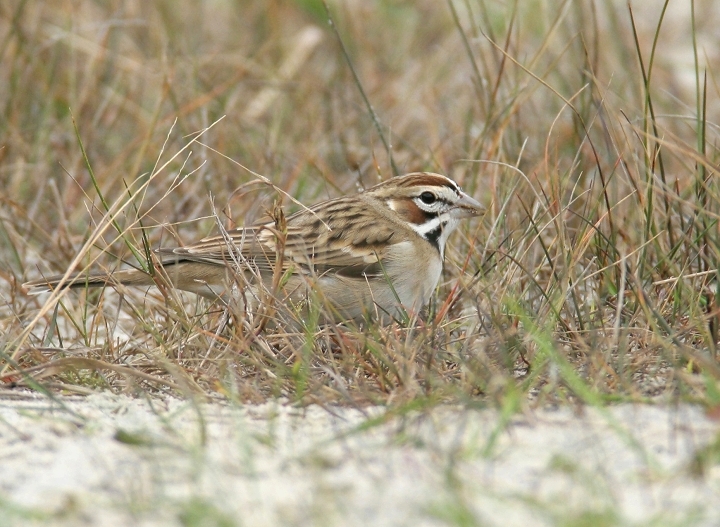 Below three: An adult Lark Sparrow on Assateague Island, Worcester Co., Maryland (10/22/2006). 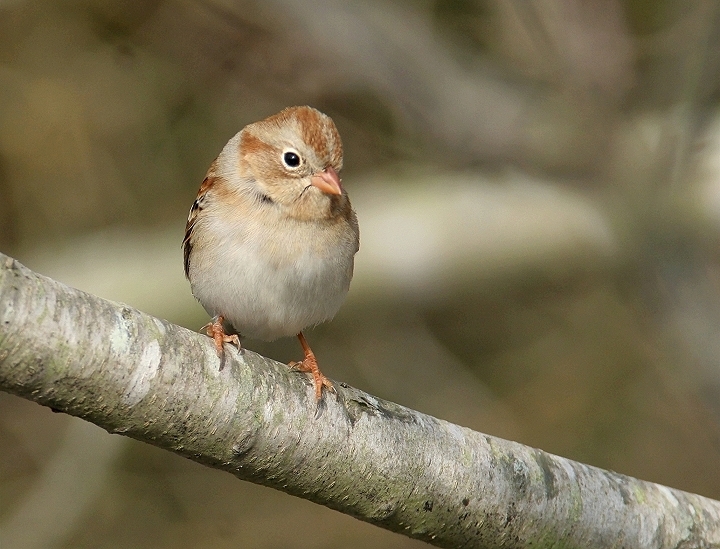 This beautiful western sparrow is rare but almost certainly annual on the island. 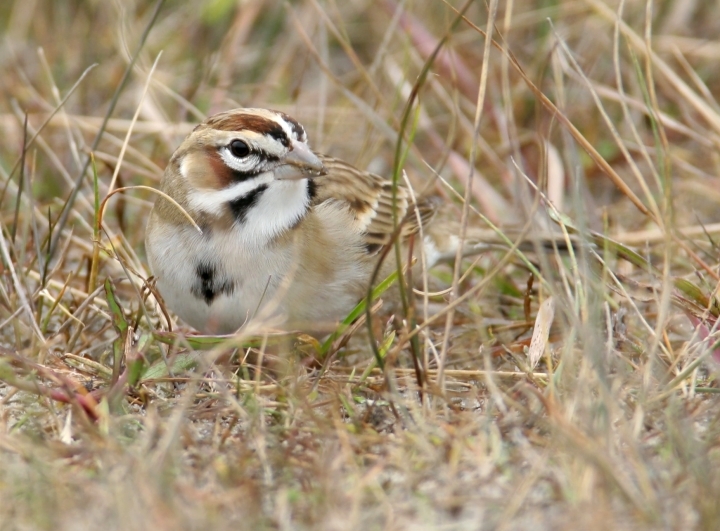 Mark Hoffman found this bird - his third for the year - and stayed on it until we could arrive to see it. 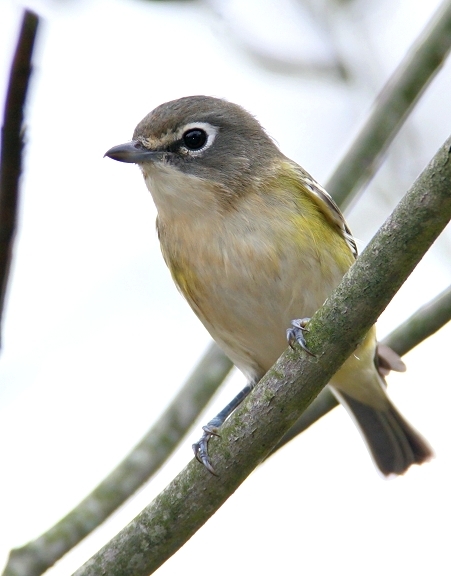 Thanks, Mark! 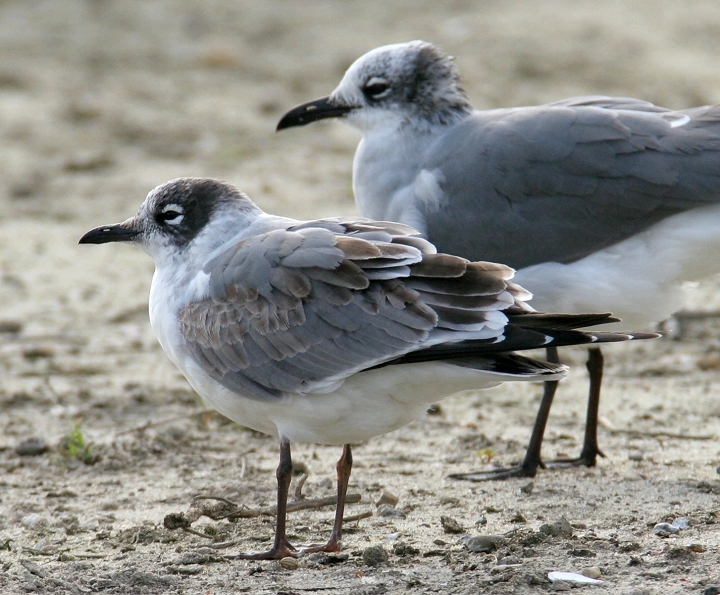 Below: A first-winter Franklin's Gull in Dorchester Co., Maryland (10/22/2006). 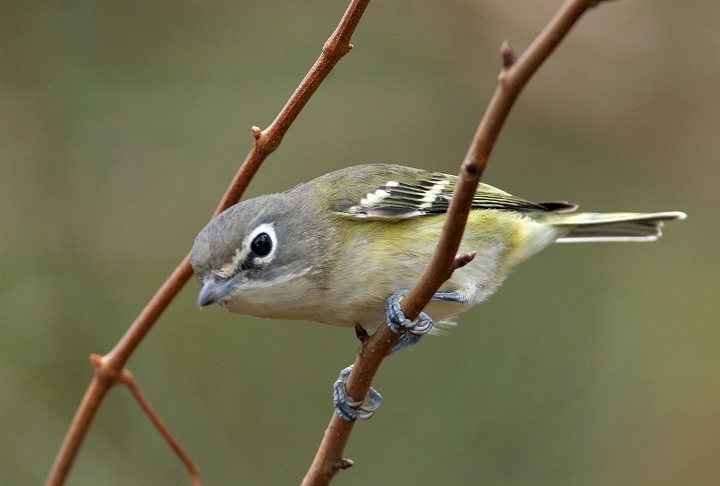 This diminutive bird, which was quickly spotted by Jim Stasz, appears to be a different bird than we've recently seen here. 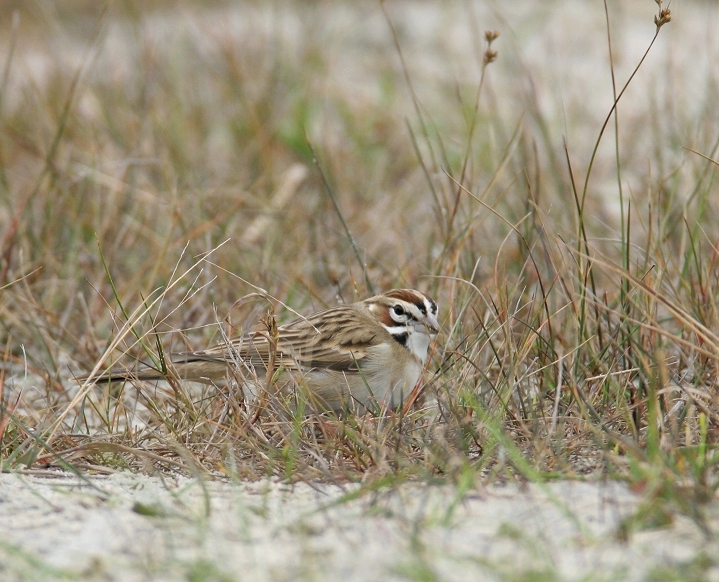 Note the nice comparison, especially structurally, with the Laughing Gull at back. 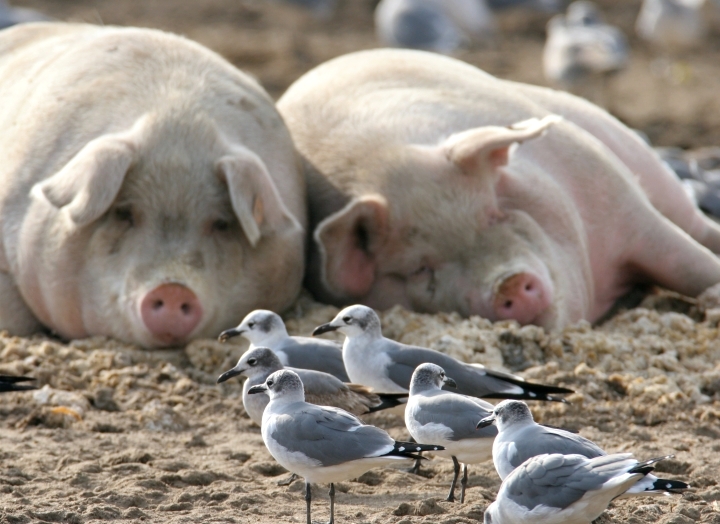 Below: Yes, the beautiful pig farm. 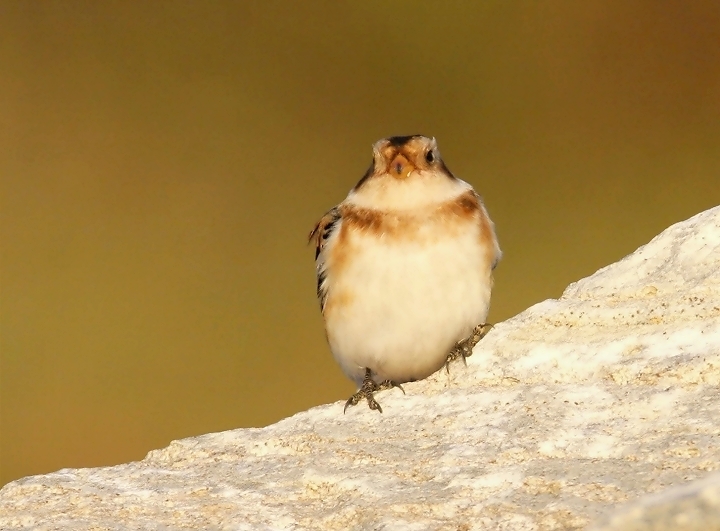 There's no end to the weird places you can find birds! 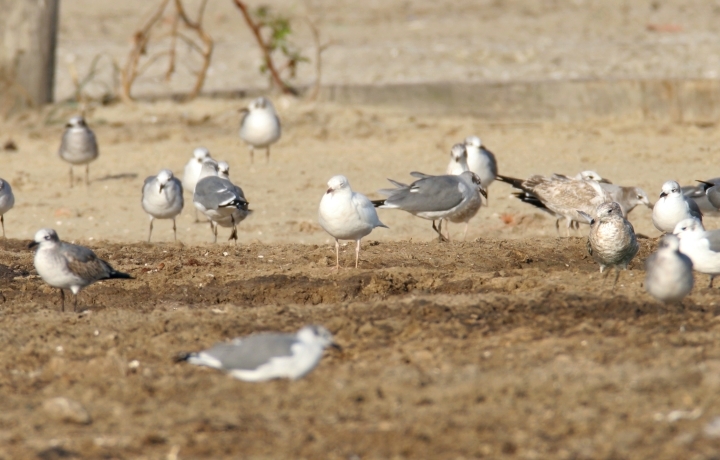 Laughing Gulls in foreground. 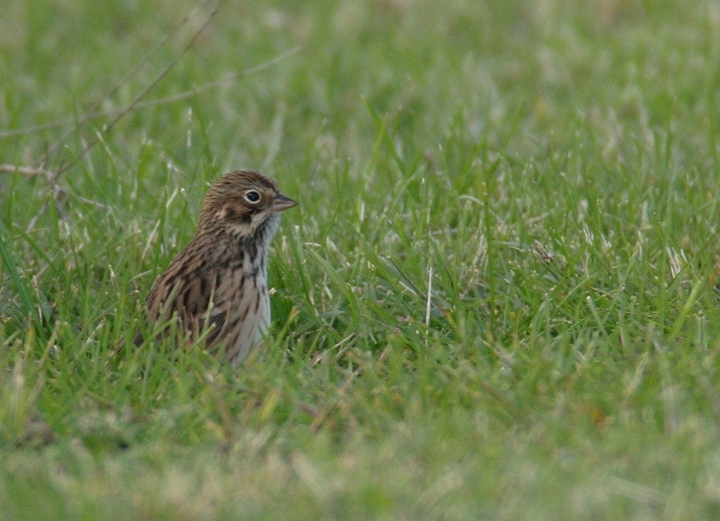 Dorchester Co., Maryland (10/22/2006). 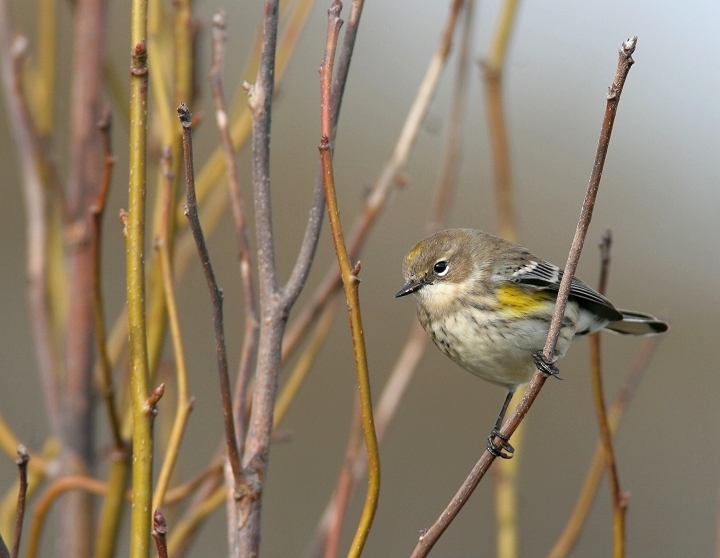 Below: Several of the thousands of Myrtle Warblers that have recently arrived on Assateague Island (10/22/2006). 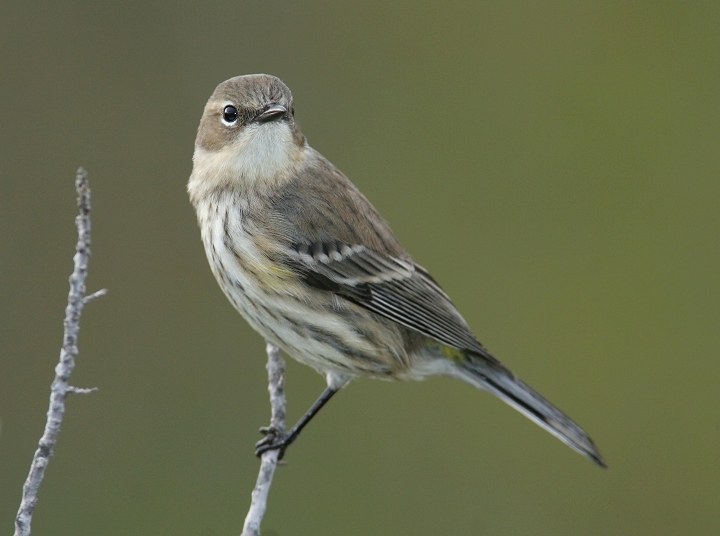 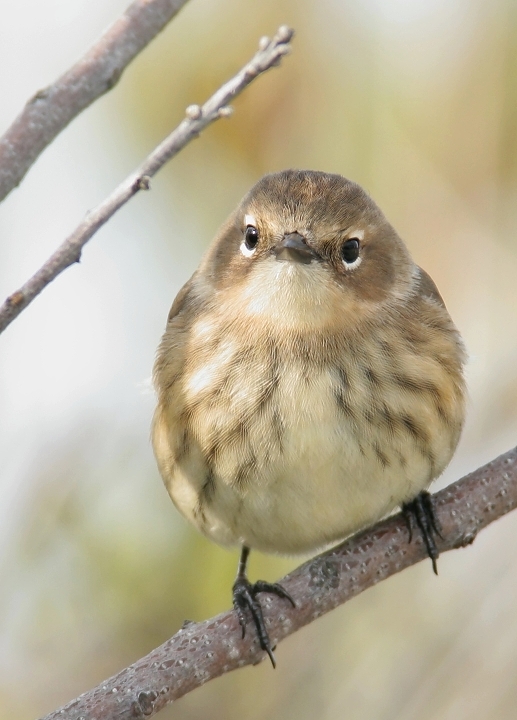 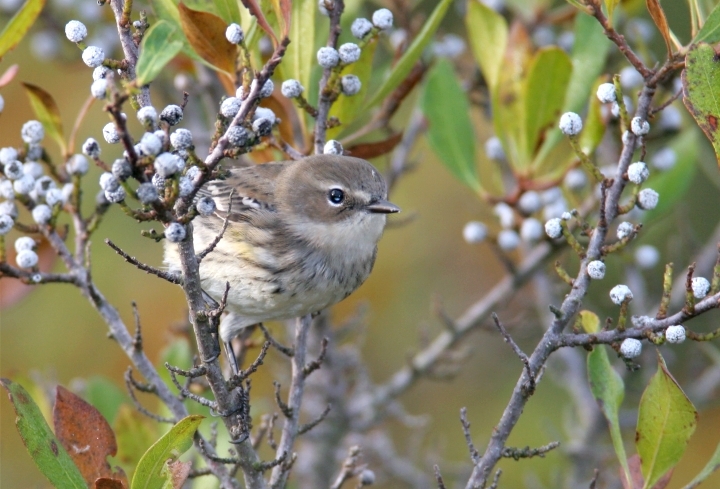 Below: Feeding on the energy-rich fruit of the Northern Bayberry allows Myrtle Warblers - and other species such as Tree Swallows - to winter further north than relatives that insist on bugs and bugs alone. 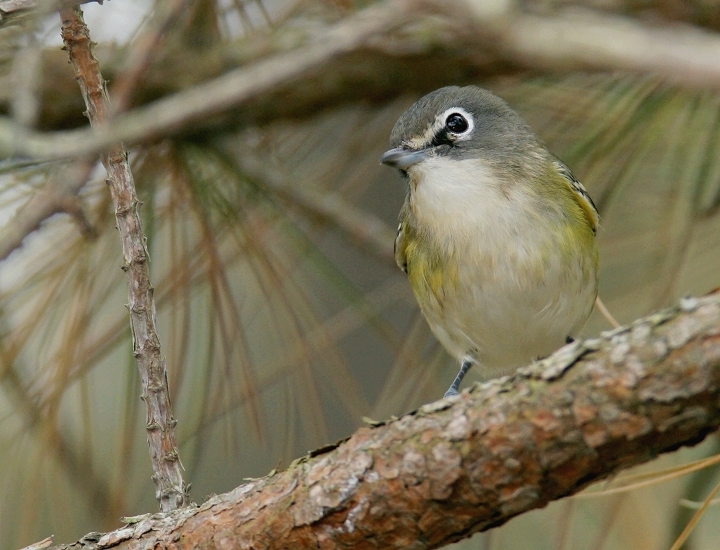 Below three: A migrant Blue-headed Vireo on Assateague Island, Worcester Co., Maryland (10/22/2006). 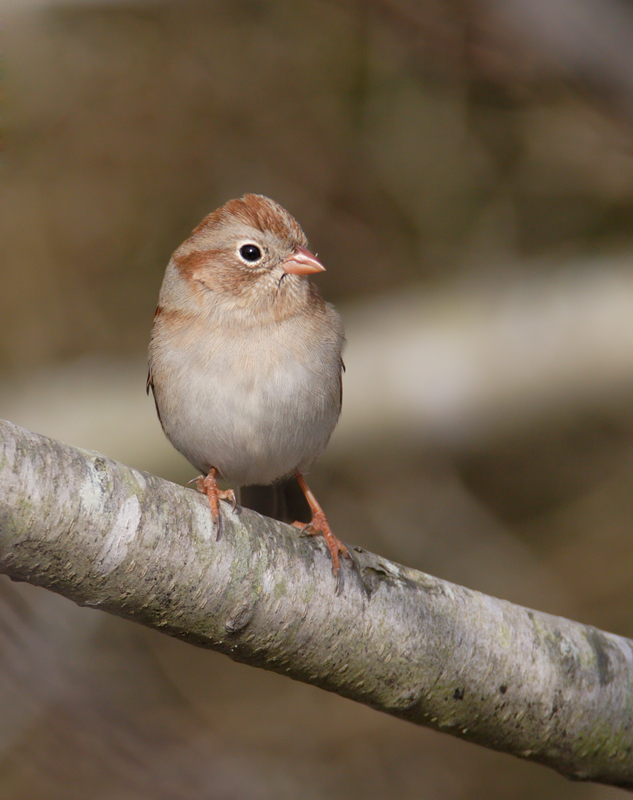 Below two: A Field Sparrow on Assateague Island, Worcester Co., Maryland (10/22/2006). 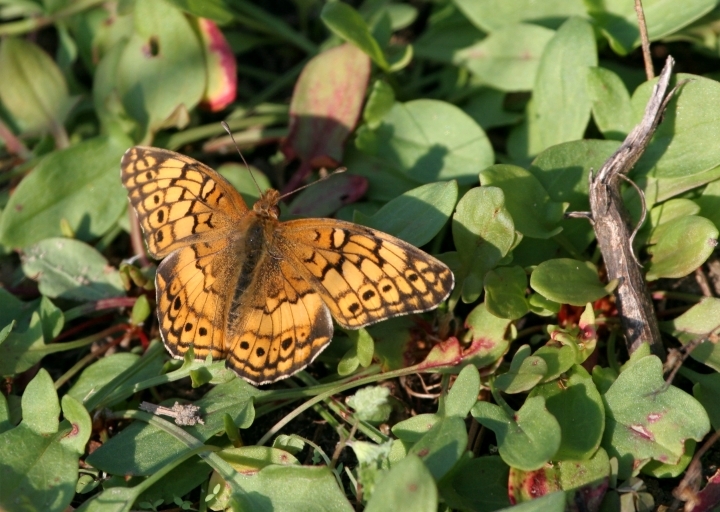 Below: One of about 40 Variegated Fritillaries I noted at Tuckahoe SP, Caroline Co., Maryland (10/21/2006). 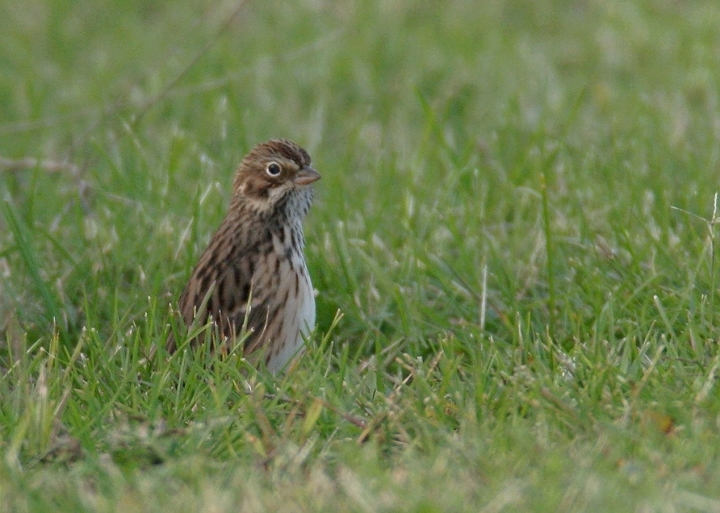 At least one pair was mating along a hedgerow, and others flew off as I took every other step. 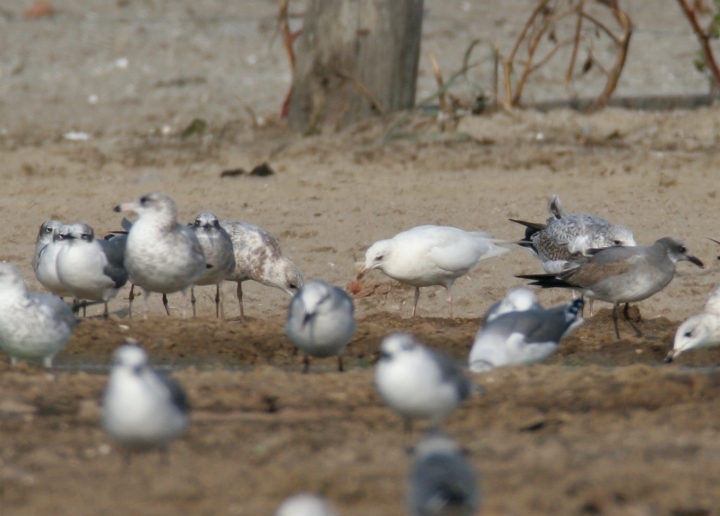 Below two: This albino Ring-billed Gull was another very interesting find at the pig farm in Dorchester Co., Maryland (10/22/2006). 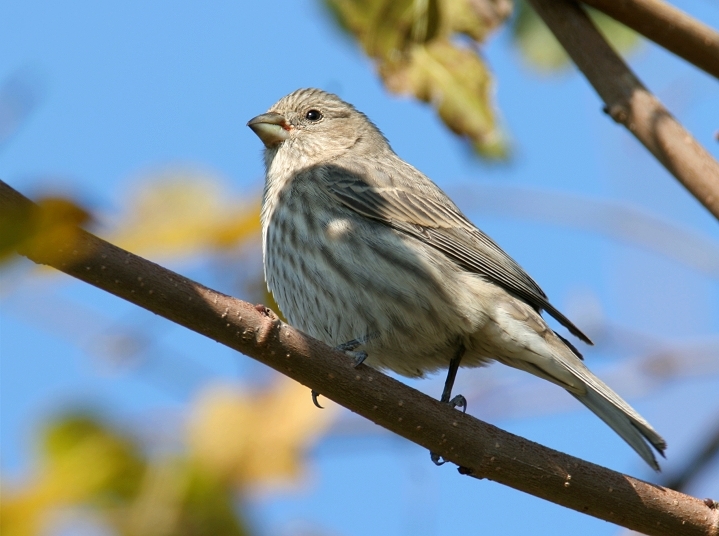 Below: A female House Finch at Horsehead Wetlands, Queen Anne's Co., Maryland (10/21/2006). 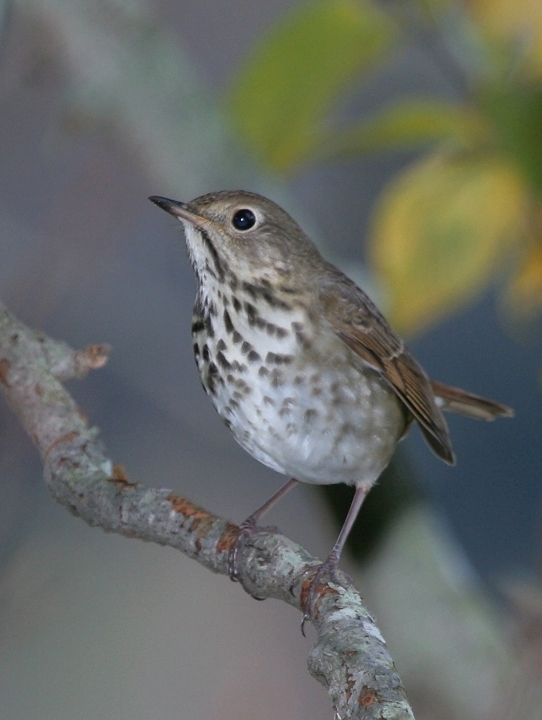 Below: A Hermit Thrush at Tuckahoe SP, Caroline Co., Maryland (10/21/2006). 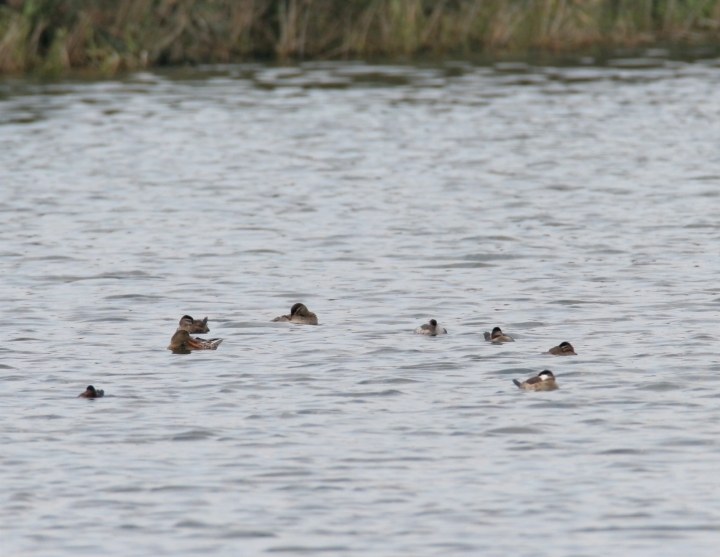 Below: A resting Eared Grebe among Ruddy Ducks and shovelers in Easton, Talbot Co., Maryland (10/22/2006). 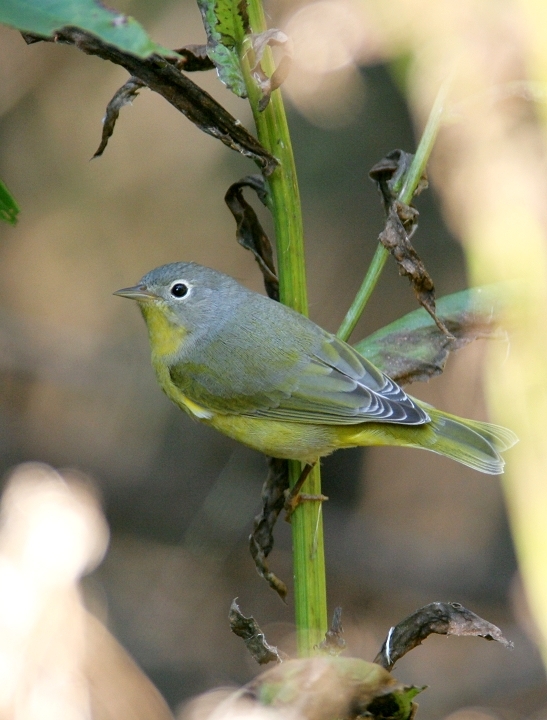 Below: A Nashville Warbler at Middle Patuxent Environmental Area, Howard Co., Maryland (10/10/2006).